We dodged the bullet. It is now 2018 and we have seen a year of Second Amendment support from the President that would not have been the case if his opponent had won the election. Still, eternal vigilance is required to safeguard our rights. So, I would like to alert the reader to a sinister threat in the realm of health data that will be with us regardless of who is in charge in politics. It is the misuse of health services and health data to infringe on our Second Amendment rights. Below are some examples that serve as a warning. Regrettably, I can offer only a few ideas on how to minimize the risks of information falling into the wrong hands. Since so much of our lives is governed by electronic data and we have seen security beaches, it is obvious that electronic health data can also be vulnerable. Whether such data is misused inadvertently or maliciously, it does not matter if you are the victim of it. And there are a number of risks inherent in such electronic data collection and access. Originally, to make Health Information Exchanges (HIEs) work to share patient information across regions and health care systems, there was a proposal for a unique patient identifier. This met with resistance by patient advocacy and privacy proponents and was abandoned due to political pressure. So, positive patient identification is not close to perfect and mistakes will happen. For instance, in our current National Instant Check System, we see thousands of initial denials via the required Form 4473 because the algorithm used includes name variants. The vast majority of these initial denials are converted to approvals upon more review. It is not hyperbole to say that probably every adult American has had their financial data or personal identity and information impacted by a security breach. The lesson here is that anything that you reveal that is recorded can be compromised. If you do not want someone else to know about your personal firearms, then you have to be extremely sneaky. Some states require registration, and many non-compliant citizens have boldly refused. Electronic records that can compromise your firearms ownership privacy range from concealed carry licensure (obviously), credit card records, vehicle and smart phone GPS, apps, electronic banking, websites visited, magazine memberships, and gun advocacy group affiliations, to name a few. Of course, a suggestive internet moniker or pictures of you with your favorite hunting rifle on the web are dead giveaways. We certainly do like to share every little intimate thing on the social media sites and the National Security Administration is listening. We now live in a world where George Orwell’s dystopian novel 1984 with its almost omniscient Big Brother surveillance is pathetic compared to the capabilities of the NSA. 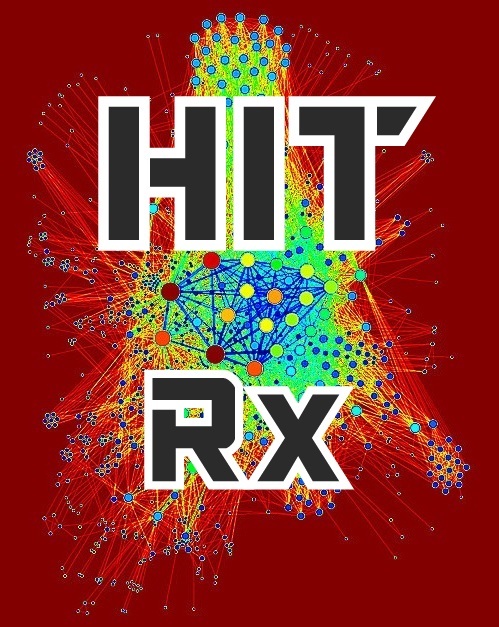 Some of the catch phrases out there in health information technology include quality measure reporting (if you want to have any hope for government reimbursement) and Natural Language Processing for finding stuff in ugly unstructured data and now Big Data analysis for predictive modeling. The point is that sifting through mountains of data is now becoming possible and if you become a target of interest, you can be found. The real danger is not if your neighbor knows you own guns . . it’s if a malicious government knows about them. So you know, all of my firearms were lost in a tragic boating accident. Now here is a lesson from history. Just before World War 2, the failing German government required registration of firearms to deter subversive elements. It back-fired and when Adolf Hitler rose to power shortly thereafter, the registration lists proved useful in disarming Germans. That could never happen here in the United States, though, could it? Well, our government and the Supreme Court had no problem with locking up United States citizens in internment camps simply because of their ancestry. We can thank the US Census Bureau for that travesty. If WW2 had gone badly for the Allies, it is not a stretch to see our internment camps becoming more like concentration camps. We have just experienced a weaponized Internal Revenue Service punishing those whose political views do not comport with a prior administration and the abuse of the simple assignment of fiduciary responsibility used as a means to deny them the right to keep and bear arms. Veterans seeking psychological support have been harassed. Our Founding Fathers would have been shooting at this point. 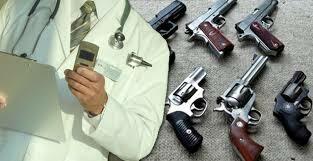 So, when a health professional asks about your firearms ownership, it might be best to lie. Simply refusing to answer the questions, often supported by hoplophobic liberal health professional groups, may still be a red flag. Anything about you in the Electronic Health Record could be used against you despite the Health Insurance Patient Protection Act safeguards. —’Patriotic HIT Pharmacist’ is a relatively new firearms owner (thanks to the previous President). This Second Amendment zealot takes self-defense seriously, is trained and certified in health informatics, and dabbles in reloading. All DRGO articles by Patriotic HIT Pharmacist.